I know, it seems too early to be talking about Christmas, but we are getting ourselves booked in for Christmas events, so we need to get cracking on making products so that we’re ready! We’ve been busy this weekend ordering supplies and thinking about new products. We love love LOVE cocoa butter, and as we always want to bring you a Caribbean skincare experience, we want to use more Caribbean ingredients, like cocoa butter, so we are working on developing a new skin balm/salve which will include cocoa butter as the main ingredient. 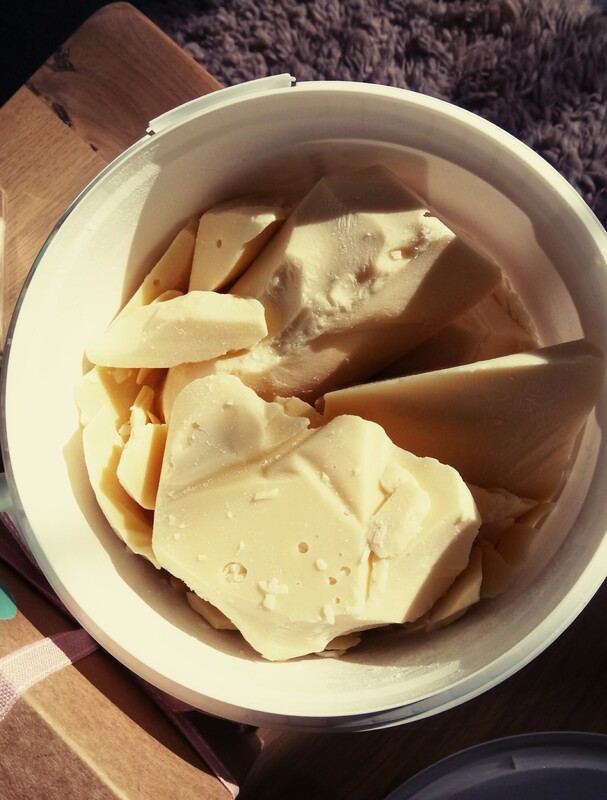 A harder butter than shea butter, cocoa butter is full of skin-loving essential fatty acids, which are often lacking in dry, eczema-prone skin. It is fantastic for healing and fading scars and stretch narks, and smells like chocolate…Watch this space!